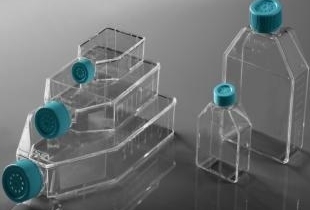 $120/case of 100 Plug capped (Cat# 708001), and $ 125/case of 100 filter capped (Cat# 708003) T75 sterile tissue cell culture flask. 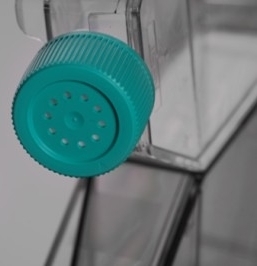 T75 cell culture flask is the most commonly used cell culture devices in the biological research labs. It is very easy to handle compared with T25 small flask or T175 and T225 large flasks. To save your money on this common used flask we sell it at very low profit margin but still be able to offer you free ground shipping. Are you culturing cells at large scale? 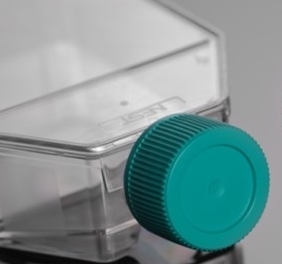 If yes, please check Nest multi layer cell culture flask and chambers(Biofactory), which will save you money and space on large scale cell culture. Please click the catalog number to see product and price information.